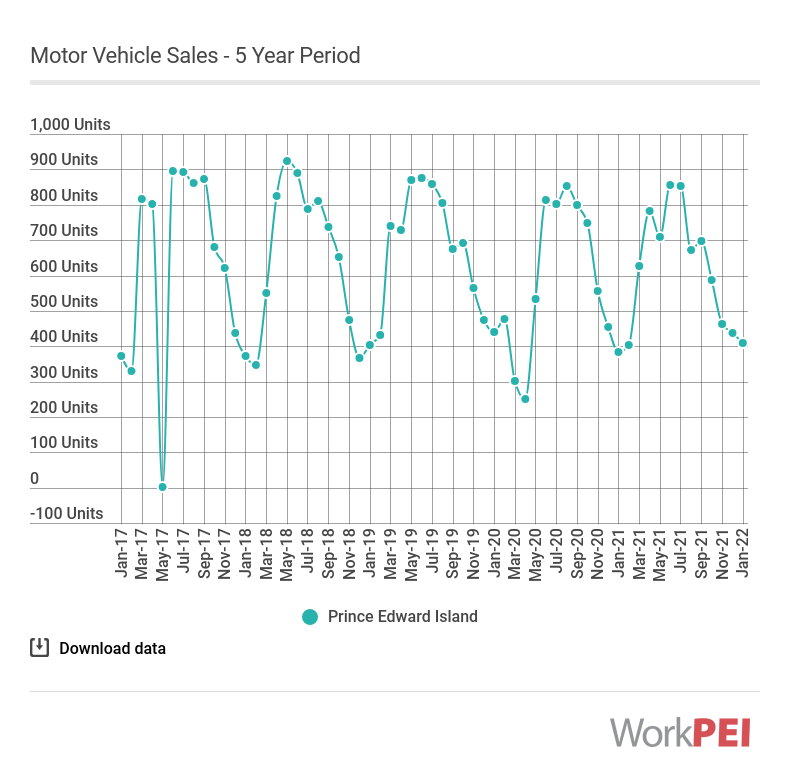 The number of motor vehicles sold in Prince Edward Island increased 23.9% between February 2018 and February 2019 to 431. 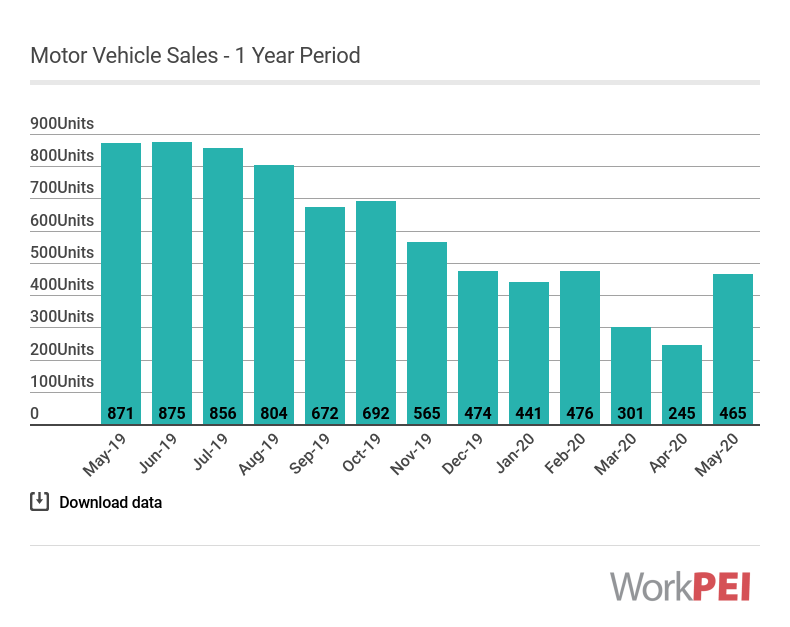 Nationally, the number of motor vehicles sold in Canada decreased 3.3% over the same period. 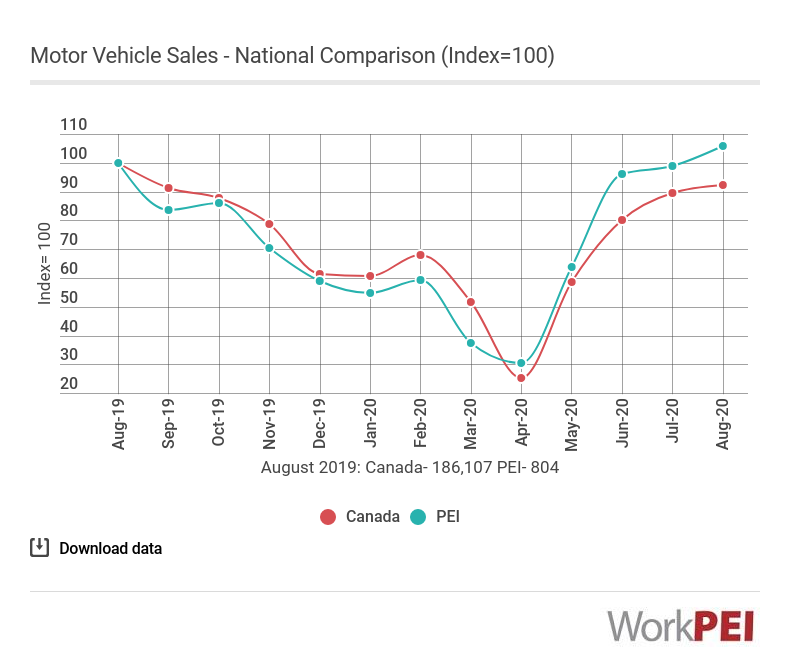 Adapted from Statistics Canada, Table 20-10-0001-01 (New motor vehicle sales). This does not constitute an endorsement by Statistics Canada of this product.